What Are the Signs and Symptoms of Alcohol Withdrawal? When people are struggling with alcohol abuse or alcoholism, they often try to find any way possible to experience intoxication. In some cases, this can lead to people trying to consume sources of alcohol that have nothing to do with the social beverages most people enjoy only occasionally. For some of these individuals, the idea of drinking rubbing alcohol can be attractive; it’s inexpensive and easy to get. However, there is a major difference between this type of alcohol and the type that is typically consumed socially. This difference creates a major risk for the people who attempt to drink rubbing alcohol as part of their alcoholism or to experiment. No matter what the beverage, the alcohol humans drink for pleasure contains the same active ingredient: ethanol, which is also known as ethyl alcohol. As described by the National Library of Medicine, it is generally created through rapid fermentation of the carbohydrates in fruits, vegetables, grains, or other plant sources. In contrast with the ethyl alcohol used in beverages, rubbing alcohol is made from a substance called isopropyl alcohol. Structurally different from the alcohol we drink, isopropyl alcohol is a synthetic alcohol made from propylene rather than from food sources, as described by the Encyclopedia Britannica. This difference means that rubbing alcohol is also metabolized differently by the body, as described by Clinical Toxicology. As a result, the body can be easily overwhelmed by the toxins produced as the body tries to process this type of alcohol. Store-bought rubbing alcohol is generally about 70 percent isopropyl alcohol; if measured in terms of ethanol, it would be considered 140-proof. 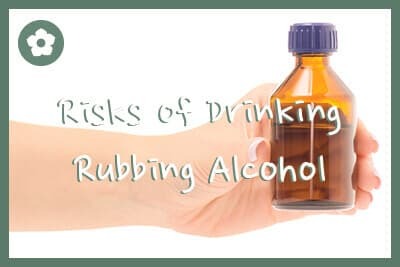 However, the differences in the types of alcohol mean that an amount of rubbing alcohol can be much more potent and risky than an equivalent amount of a 70-percent ethanol beverage. All of these effects can lead to death if immediate medical care is not provided. Rubbing alcohol is cheap and easy to get, and the name can confuse people who don’t know that there are different types of alcohol. This leads to a number of cases of people trying rubbing alcohol and experiencing isopropyl alcohol poisoning. In addition, people who are dealing with severe depression or suicidal thoughts may attempt to drink large amounts of rubbing alcohol or household chemicals that contain isopropyl alcohol to commit suicide. The risk of injury or death from isopropyl alcohol poisoning is high. If abuse of rubbing alcohol is suspected, it is important to get help. 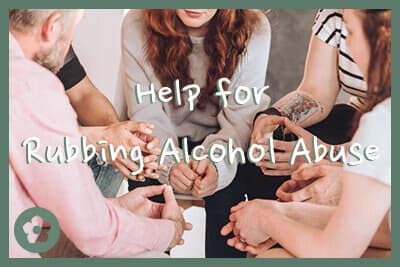 A person who has decided to drink rubbing alcohol could be struggling with long-term alcoholism; when this occurs, trying to quit drinking alone is likely to be unsuccessful. Professional help is needed. Getting treatment through a reputable rehab facility can help an individual recover from alcoholism and stop rubbing alcohol abuse. Using research-based methods, these experienced facilities can provide therapy, learning, and skills that enable people to avoid relapse to alcohol abuse, minimizing the chances that they will take the risk of drinking rubbing alcohol. These programs can also deal with co-occurring disorders like depression, helping the individual to manage those conditions along with substance abuse issues.